Tiled floor, radiator and stairs to First Floor. UPVC double glazed window to front, radiator, TV point and electric fire with wooden surround. Tiled floor, radiator, UPVC double patio doors to rear with glazed side panels, fitted with a range of wall and base units comprising cupboards and drawers, base units with wood effect work surfaces over and tiled splashback, boiler, integrated dishwasher, integrated washing machine, double electric oven with gas hob and chrome extractor fan over and integrated fridge/freezer. Radiator, low flush WC and sink with splashback. Cupboard, radiator and loft access. Radiator, UPVC double glazed window to front and built-in mirrored wardrobes. 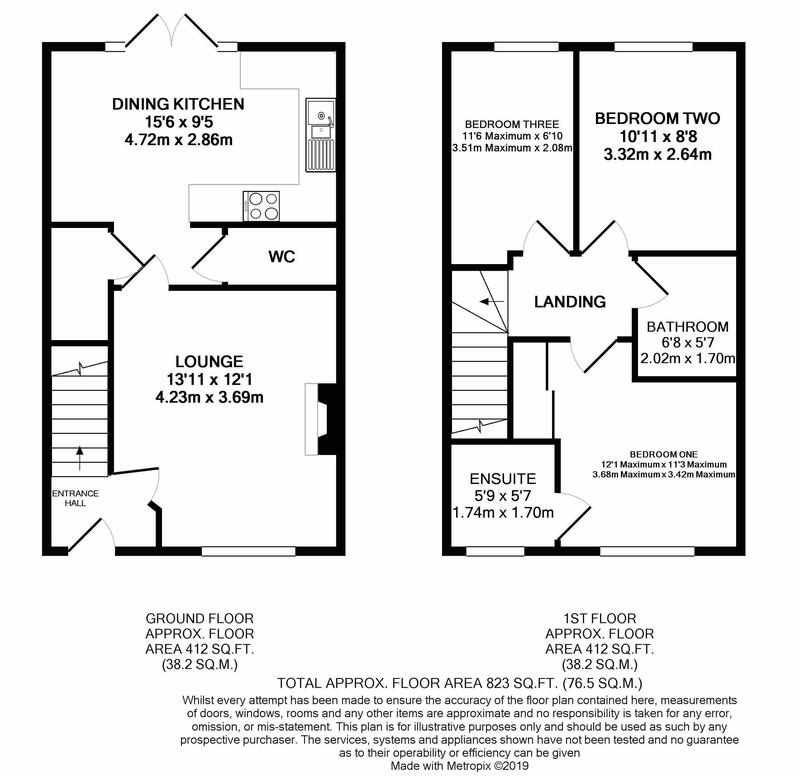 Laminate flooring, UPVC double glazed opaque window to front, heated towel rail, pedestal wash basin, low level WC and shower cubicle with shower head over. UPVC double glazed window to rear and built-in wardrobe. Low level WC, laminate flooring, bath with shower over, pedestal wash basin, radiator, extractor fan and part tiled walls. To the rear there is a patio area ideal for outside entertainment that opens onto the garden which is mainly laid to lawn with fenced boundaries creating privacy. To the front there are two parking spaces.